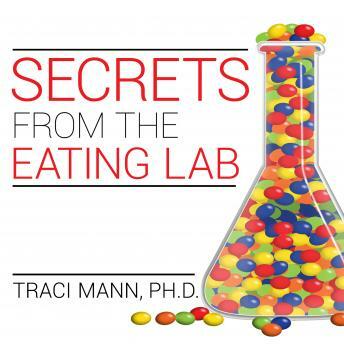 From her office in the University of Minnesota's Health and Eating Lab, professor Traci Mann researches self-control and dieting. And what she has discovered is groundbreaking. Not only do diets not work; they often result in weight gain. Americans are losing the battle of the bulge because our bodies and brains are not hardwired to resist food-the very idea of it works against our biological imperative to survive. In Secrets From the Eating Lab, Mann challenges assumptions-including those that make up the very foundation of the weight loss industry-about how diets work and why they fail. The result of more than two decades of research, it offers cutting-edge science and exciting new insights into the American obesity epidemic and our relationship with eating and food.